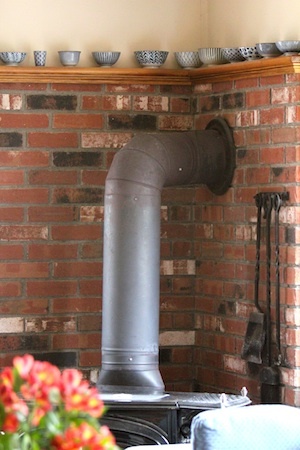 Another focal point in our home is the wood stove. 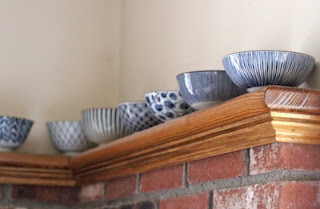 Here I again have used the size gradation technique to arrange the Chinese bowls on the mantel. While visiting NYC I went shopping at Pearl River. What fun! I came home with a varied collection of blue and white Chinese rice bowls. I looked for a mix of shapes, sizes and patterns. I was very excited to find that Pear River is indeed online. Although not the same experience as visiting the store, it pleases me to know that we all have access to this incredible collection without traveling to NYC.